To Apply for UNILORIN inter university transfer, prospective applicants must follow the following procedures. Should you want to know more about Transfer Admission, consider reading, "Transfer Admissions into Universities in Nigeria: Requirements, Process and Other Things"
Download the UNILORIN inter university transfer form. This completed form should be sent to academicoffice@unilorin.edu.ng. Likewise, the file should not be more than a hundred (100) kilobyte (KB). It is also very advisable that your form should be correctly filled with errors and scanned properly. Only clear and properly scanned form will be attended to. It is also very important to note at this point that there is a an official letter to be signed by the registrar of your present university which is to be addressed to the registrar of the university you are transferring to as is this case (UNILORIN). Finally, after all have been said and done, then lets talk about the financial aspect. All candidates are expected to pay a sum of N350,000 as acceptance fee into the university of ILORIN through inter university transfer. 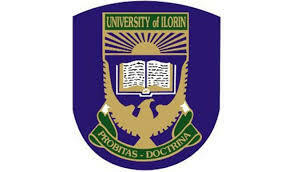 To know if you have been accepted into UNILORIN, simply check the schools portal for the current year admission list.